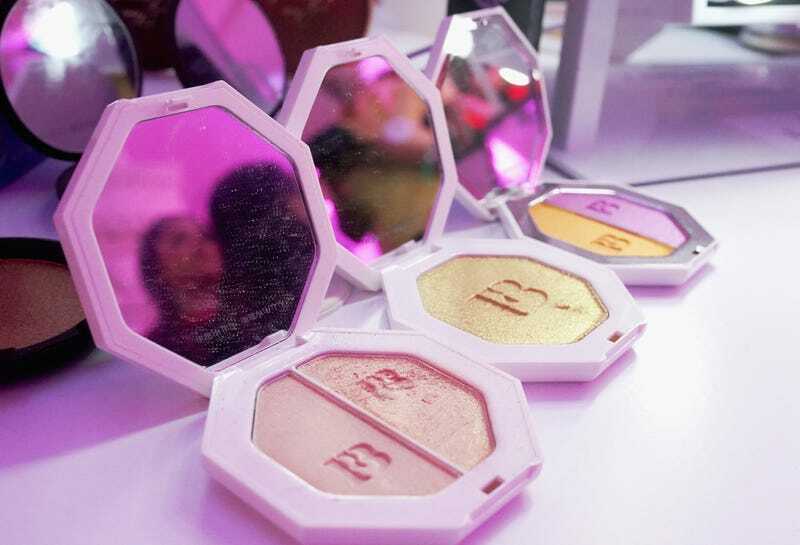 View of Fenty Beauty products on display at SEPHORiA: House of Beauty - Session Three at The Majestic Downtown on October 21, 2018 in Los Angeles, California. The highly-controversial Super Bowl LIII takes place on Sunday, and though we won’t be watching, we have been keeping our eye out for what are well known to be the most-watched ads of the year. But ahead of the big game, we’ve already found our winner for best ad. While you won’t be seeing this one between the quarters on Sunday, we think this parody ad from Fenty Beauty is pretty much spot on. Of course, we all know Fenty doesn’t need the Super Bowl to win. Aside from gorgeous packaging, inclusive ad campaigns, and some unknown person named Rihanna at its helm, it’s changed the entire beauty industry game with full-spectrum beauty that actually delivers in high quality. And that means we all win. Start Stretching, Fenty Fans... 10 New Mattemoiselle Singles Drop December 26!